Kim Dotcom’s debut album, Good Times, is out today - one day before Kim’s 40th birthday and marking the second anniversary of the dramatic, illegal FBI raid on his home in New Zealand. Recorded at New Zealand’s Roundhead Studios, this album entered production in 2011 before recording was interrupted by the raid, unlawful asset seizures, one month in jail followed by house arrest without Internet access, illegal spying and an apology from the Prime Minister of New Zealand as a result. Against all odds, here it is: Good Times. Good Times is an album of upbeat party-ready dance music produced by Kim Dotcom. Co-produced by SLEEP DEEZ, PRINTZ BOARD, RELLEVANT and JD WALKER the album features U.S. artists ILATI and AMARI as well as New Zealand artists LAUGHTON KORA and TIKI TAANE. (Refer to bios attached for more info). The music celebrates Kim’s ever-present philosophy of inspiring people to feel good, have fun and live life to the fullest. Kim was inspired by the Trance and Dance tracks he listened to during his high-speed driving times on the German Autobahn. Given the negative backdrop to this optimistic album its release is a testament to Kim’s sheer dedication and determination. Informed by all the experience of recording and releasing Good Times, Kim will give music fans a sneak preview into his latest innovative and disruptive Internet service called Baboom. Baboom will provide a new way for artists to be rewarded, as well as enabling the public to earn the right to stream and download content for free. Baboom will soft-launch with Kim’s album on January 20th to give everyone a flavor of what’s to come when the site is fully unleashed in late 2014. 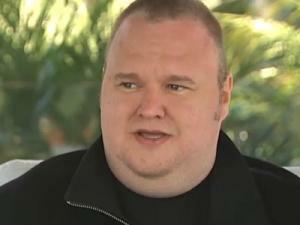 With MEGA Kim Dotcom proved his ability to turn adversity into an amazingly innovative success story. Anyone betting against him doing so again with Baboom may be proven wrong, again.